Zinnias are beautiful flowers that are perfect for beginning gardeners! These annual flowers are available in many colors and varieties and can give your garden a huge boost of color and are perfect for creating bouquets. Zinnias are very low-maintenance and simply need lots of sun, warmth, and well-drained soil in order to thrive and can be enjoyed from summer until the first heavy frost of fall. They have no major insect problems and can attract beautiful butterflies to your garden! 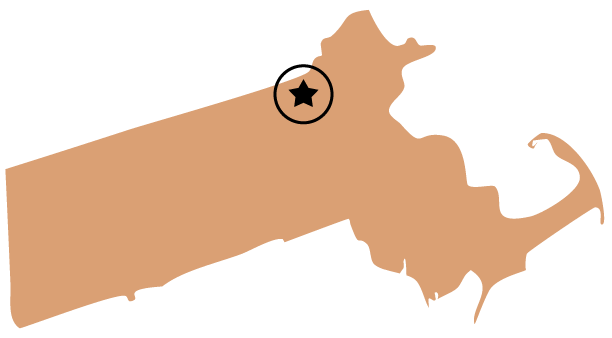 The growing approach can vary slightly depending on your region. In warmer areas, the zinnia seeds can be sown directly into the garden when the temperature starts to rise. Here in New England, it takes longer to warm up so you can get a head start on the growing process by sowing seeds indoors about a month before the last frost is expected as long as the soil can be kept at 70 to 80 degrees F. Sow seeds in peat pots that can be directly transplanted into the garden since zinnias don’t like being transplanted. Zinnias typically take around 2 months from seed to flower, although this can change depending on weather conditions. • Choose a bright and sunny spot for your zinnias. • Cover zinnia seeds with just ¼ inch of soil because they need light to germinate. • Keep soil moist as the flowers develop. • When seedlings are 2-3 inches in height, thin to 6-8 inches apart for small varieties and 1 foot apart for large varieties. • Do not over water the zinnias. 1 inch of water per week is recommended. • Remove faded or dead flower blooms from the zinnias so that they produce more blooms. This is called “deadheading”. At Parlee Farms, we grow 10 shades of Benary Giant zinnias. They are a beautiful, sturdy variety with a long stem – great for cutting. They are available from late July until the first frost, usually late September. 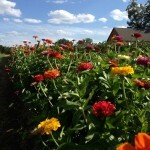 So if you grow your own or purchase them from a farm, zinnias are just a wonderful summer flower to have in your home!